Recap: A US District Court judge handed down a preliminary decision awarding Apple $1 billion in its case against Qualcomm regarding royalties on modem chips. The battle is the latest in a very long history of lawsuits between the two companies. The decision is not final, as the case goes to formal trial next month. It seems as though Apple and Qualcomm never stop sparring, with the latest development in years-long disputes between the companies being a preliminary victory for Apple. 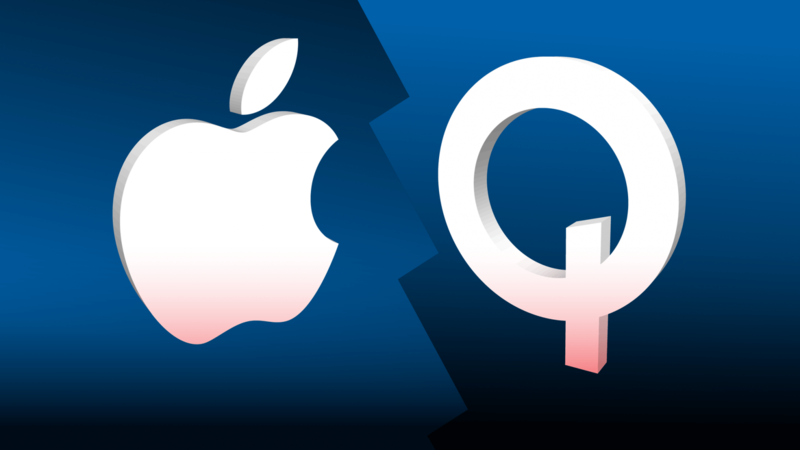 On Thursday, judge Gonzalo Curiel of the U.S. District Court for Southern California ruled that Qualcomm owes Apple nearly $1 billion in rebate payments. Qualcomm, the world's largest supplier of mobile SoCs, supplied Apple with modem chips for iPhones and other devices for years before Apple switched over to Intel. The rebates in dispute stem from an unorthodox arrangement between the two companies. Third-party factories agreed to pay Qualcomm "billions of dollars per year" for the right to use their patented technology in iPhones. Apple would then reimburse the factories. In a separate agreement, Qualcomm agreed to pay Apple "a rebate on the iPhone patent payments if Apple agreed not to attack [Qualcomm] in court or with regulators." In early 2017, Apple claimed that Qualcomm was overcharging them for royalty payments, invoicing them for "technologies they [Qualcomm] have nothing to do with." Qualcomm believes they were justified in halting rebate payments, as Apple made "false and misleading" complaints to the Korean Fair Trade Commission, violating their agreement. The web of accusations goes even deeper, as Apple's royalty claim was in response to Qualcomm allegedly engaging in monopolistic behavior by working to prevent Apple from using their competitors in South Korea. It's unlikely that the $1 billion victory for Apple will stand, as many accusations in the suit have yet to be ruled on and the decision will not be final until a trial in April. Furthermore, Apple has already withheld $1 billion in payments to Qualcomm for chip manufacturing, so the entire ruling may ultimately be a moot point. In addition to the battle over rebates, Apple and Qualcomm continuously sue each other over patent violations. This rebate suit is happening concurrently with yet another patent suit between the two companies, which ended with no decision from a jury earlier this week.